NO! NOT THE FLICKERING CHAIR! 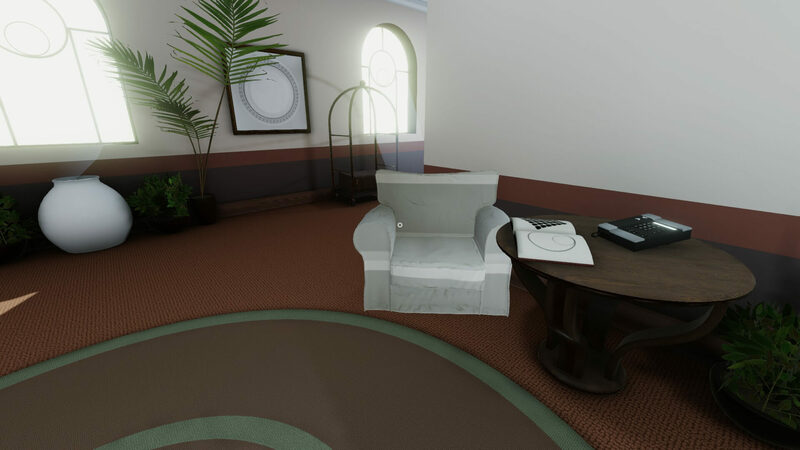 If you like puzzles, a distant sense of impending doom and horror and creepy mannequins being nice to you, The Spectrum Retreat is the hotel for you! Waking up in a lovingly indulgent hotel room, you soon discover that you are in fact a guest at the illustrious Penrose, a digital resort of the highest calibre. Yet something is amiss: all of the staff are mannequins with speakers in their blank, fabricy faces… and oh yeah, this whole thing is in a state-of-the-art simulation gone rogue. To escape this gilded prison, you must first break the system. To do that, you must solve a series of authentication challenges, which are thankfully more like Portal-esque puzzles rather than trying to electronically break a monitoring program (testing the sanitized inputs, anyone?). 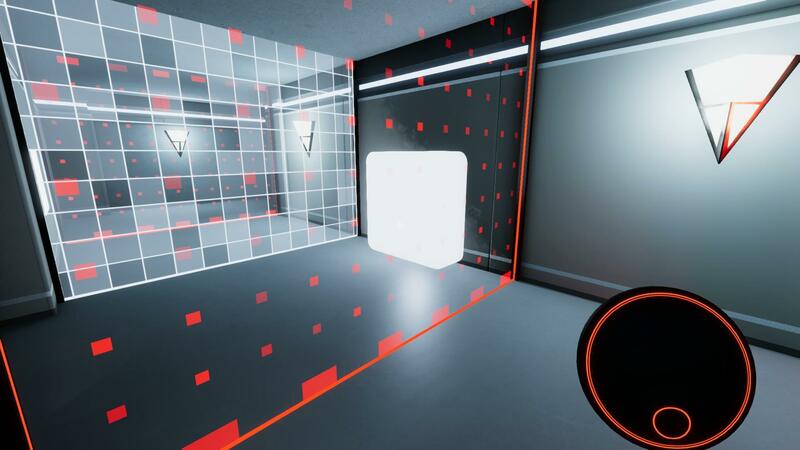 These take the form of Tron-like rooms separated by various coloured doors, which can be opened by moving light around, placing them in large cubes to turn the doors on and off. Red light goes in, white box comes out! While I do get the basic system of how to control the doors (specific numbers of a colour of light will open a door of that colour), even several hours in, I still blunder my way through the puzzles with only a modicum of actual knowledge backing me up. The periods spent in the hotel actual are, well, slightly horrifying. To be honest, there’s really no way to make a game about you interacting with soulless, blank mannequins that talk to you and appear from behind doors without making it a big ol’ horror fest. 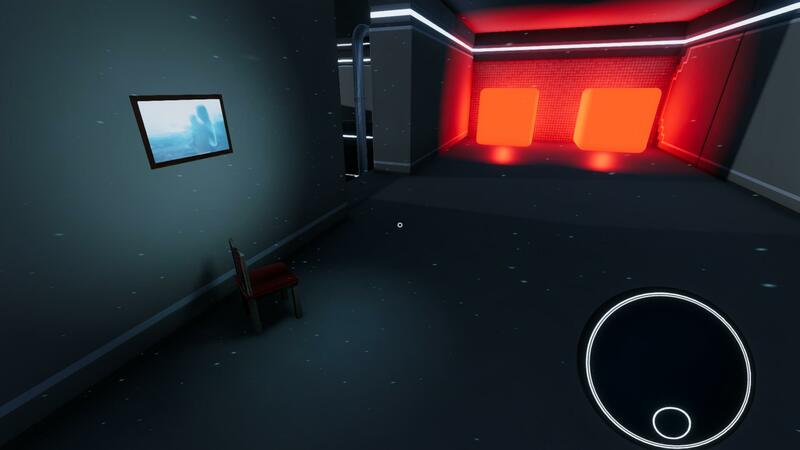 Your quests in the hotel are both simple and mostly boring, consisting of walking around an area until your contact exclaims that you found the code, then walking back to the door, putting the code in and going onto the puzzle. Besides creepy robo-butlers at every turn, The Spectrum Retreat’s Penrose itself is a luxury resort, with high-quality walls and high-res staff. While the paintings on the wall look like someone’s gone at them with a sponge, the rest of the hotel is beautiful, with the authentication challenges being just as pretty, the cubes of light casting reflections on pretty much every surface their light rays touch. You are not alone in this adventure — a person by the name of Cooper assists you in your escape, guiding you and helping you to stay undetected by the staff. In addition, within authentication challenges, you can stumble upon sections of ‘real life’: a part of a kitchen, a child’s play area, a table. These bleeding areas of the real world contain letters, telling the story of a child, her parents trying to help her. Sadly, although the story is simple to understand, it’s too spread out and vague to be of much interest, especially when I’m focusing on lining up all these colours! Overall, The Spectrum Retreat, while an enjoyable puzzle game, has a hard-to-love narrative, where it falls down the most.